Track and monitor your budget with EZ Budget Tracker, having a simple and easy to use interface. 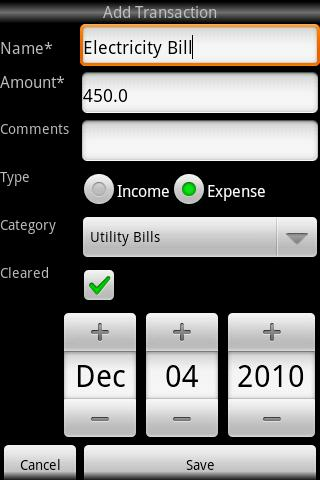 Organize your income and expenses in different categories. Create recurrent transactions avoiding them to enter again. Daily, weekly, bi-weekly, monthly and yearly scheduled transactions. Password protection of your data. Add new categories of your choice. Export monthly budget as csv format to your SD card. View pie chart for your monthly expenses. KINDLY ASK FOR SUPPORT IF NEEDED. USE FEEDBACK OPTION FROM MENU. Welcome to the Generalitat Valenciana app.